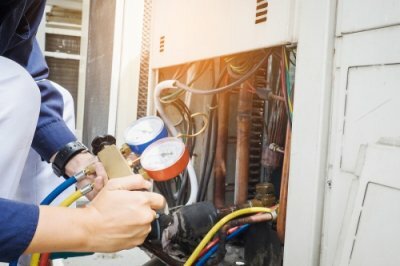 Should I Have a Heat Pump Installed? Are you searching for ways to improve or replace your current heating system in Murfreesboro ? If so, then you’ve probably come across heat pumps as an option and may be wondering if they would be a good choice for your home. Consider the following questions to determine whether you might benefit from having a heat pump installed. What are your household’s heating and cooling needs? Yes, heat pumps can be used both to heat and cool a home, and most fall into one of two categories: air-sourced or geothermal. Air-sourced heat pumps rely on the differences in temperature between the air inside and outside of a home to work. To heat a building, these units pull heat from outdoor air and send it inside. To cool a home, they work in reverse and draw heat from indoor air and release it outdoors. Geothermal heat pumps work similarly but use the difference between indoor air and the temperature underground to heat and cool a home. Geothermal heat pumps tend to cost more to install due to the need to excavate but can have lower operational costs than air-forced ones. What are your local temperatures like? 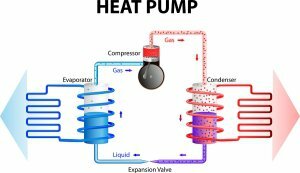 Now that you know that heat pumps can be used both to heat and cool a home, it’s time to consider whether an air-forced or geothermal heat pump would be a good option for you. Because air-forced heat pumps rely on outdoor air to heat a home, they may be less effective in locations with extreme temperatures than in places with milder ones. Geothermal heat pumps can sometimes offer a more practical heating and cooling option for homes that see extreme hot or cold temperatures, as they rely on the more consistent underground temperatures to function. Are you looking for better energy efficiency? Heat pump energy efficiency can vary depending on the type of heat pump, the heat pump’s seasonal energy efficiency ratio (SEER) rating, and the environmental temperatures. Speak with a home cooling and heating expert near you to find out if a heat pump would be an energy-efficient option for your home. Your home’s heating system in Murfreesboro plays an important role in keeping your family comfortable through the winter months, but the cost of staying warm can get unnecessarily high if you don’t take care of some home maintenance tasks. Watch this video to learn a few things that you can do to keep your heating costs in check this season. First, you should seal any air leaks around openings such as windows and doors. Next, install a programmable thermostat and set it to 68º F when people are home and awake and 60º F when everyone is out of the house or asleep. Finally, if you have a forced air heating system, change the furnace filter and schedule professional maintenance to promote better efficiency.